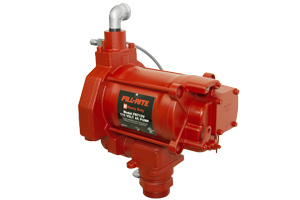 This Heavy-Duty, positive displacement pump delivers up to 18 GPM (114 LPM) and is designed with Fill-Rite's exclusive anti-siphon safety feature. The motor is explosion-proof UL/cUL listed and has sealed bearings, a heavy-duty switch and thermal overload protection. The system is UL/cUL listed as well. For flexible and convenient applications, combine above ground pumps with Series 902 cabinet meters.